The big TV news this week, of course, is Katie Couric joining ABC for a hybrid daytime talk show-special correspondent gig to help usher in the post-Oprah era. Not attracting as much attention, by design, is Wednesday’s departure of Meredith Vieira from "Today," almost five years after she took over Couric’s vaunted morning spot. While Couric always got – and still gets – the bigger headlines and hype, Vieira leaves the most profitable show in television with a legacy of getting the job done, sans much fanfare. Vieira's relatively modest exit is in keeping with a style that helped her overcome the hoopla that greets high-profile TV comings and goings, and seamlessly establish herself as part of the weekday morning routine for some six million viewers. She took the difficult – replacing Couric, who became a TV icon during her 15 years on the job – and made it look easy. Vieira forged an easy chemistry with Matt and Al, who've earned first-name-basis status with loyal viewers. Somewhere along the way, Meredith entered that pantheon. "Today" host Meredith Vieira will be passing the torch to Ann Curry on June 8th, so we take a look back at the road Curry took to get there. For her fans from "The View," Vieira arrived at "Today" as an old friend in a new setting. For many others, she came across as the kind of new friend you feel like you've known forever. Even with her news background, Vieira, fairly or otherwise, might be remembered more for fluffier moments (being front-and-center in the show’s "I've Got a Feeling" viral lip-synch video last year) than hard-hitting interviews (getting then-Sen. Hillary Clinton in 2006 to basically concede she regretted voting to authorize the war in Iraq). But for the most part, Vieira ably balanced the light with the heavy. By arriving at “Today” four months after Couric left for the CBS Evening News in May 2006, Vieira avoided instant comparisons. She leaves in a somewhat similarly understated fashion, departing mid-week, post-sweeps month. Vieira, who has said she is stepping down to spend more time with her family, recently told E! Online's Marc Malkin that she wanted to keep her going-away celebration to a post-show pizza party. "That's a little more my style," she said. "She has brought such class and dignity to this show, and such a sense of humor and such a sense of humility as well, " Matt Lauer told NBC News. 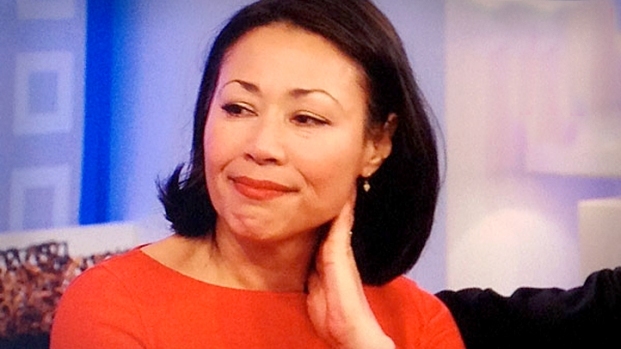 NBC is adopting that low-key, confident approach by replacing Vieira with the show's news anchor, Ann Curry, a “Today” mainstay for 14 years. Familiar can work well on TV, especially in the morning when the news and life tend to slap us awake into a sometimes uneasy reality.